Do not advertise Ad7.biz links on any form of traffic exchange / PTC website. Do not place Ad7.biz links anywhere that may contain adult material. Do not ask/beg people to click on an Ad7.biz link simply to generate you revenue, they must want to visit the destination website. Do not create 'redirect loops' with similar services(AdF.ly, Linkbucks, Bc.vc, AdFoc.us, Ad5.eu, Bit.ly, Tinyurl.com, T.co, Goo.gl etc) to generate revenue. You cannot send traffic from similar services to Ad7.biz, but you can send traffic from Ad7.biz to similar services. Do not create spam with Ad7.biz links anywhere, including forums / chat / comments / blogs. Do not participate in click 'rings' where you click on Ad7.biz links in return for others to click yours. 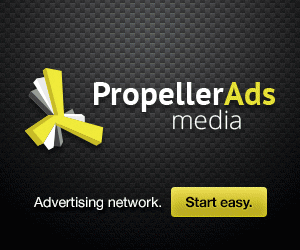 Do not open Ad7.biz links automatically in any way, including popups / popunders / redirects. Only the Ad7.biz link must be opened when clicking on an Ad7.biz link, no other links / windows. The only legitimate way to open an Ad7.biz is with a mouse click, on the actual link. Ad7.biz currently provides users with access to a rich collection of resources, including, various communications tools, forums, shopping services, and personalized content its network of properties (the "Service"). You also understand and agree that the Service may include advertisements and that these advertisements are necessary for Ad7.biz to provide the Service. You also understand and agree that the service may include certain communications from Ad7.biz, such as service announcements, administrative messages and the Ad7.biz Newsletter, and that these communications are considered part of Ad7.biz membership and you will not be able to opt out of receiving them. Unless explicitly stated otherwise, any new features that augment or enhance the current Service, including the release of new Ad7.biz properties, shall be subject to the TOS. You understand and agree that the Service is provided "AS-IS" and that Ad7.biz assumes no responsibility for the timeliness, deletion, mis-delivery or failure to store any user communications or personalization settings. In consideration of your use of the Service, you represent that you are of legal age to form a binding contract (are at least 18 years old) and are not a person barred from receiving services under the laws of the United Kingdom or other applicable jurisdiction. You also agree to: (a) provide true, accurate, current and complete information about yourself as prompted by the Service's registration form (such information being the "Registration Data"), (b) maintain and promptly update the Registration Data to keep it true, accurate, current and complete and (c) agree to create only one account per person. If you provide any information that is untrue, inaccurate, not current or incomplete, or Ad7.biz has reasonable grounds to suspect that such information is untrue, inaccurate, not current or incomplete, Ad7.biz has the right to suspend or terminate your account and refuse any and all current or future use of the Service (or any portion thereof). You will receive a password and account designation upon completing the Service's registration process. You are responsible for maintaining the confidentiality of the password and account, and are fully responsible for all activities that occur under your password or account. You agree to immediately notify Ad7.biz of any unauthorized use of your password or account or any other breach of security. Ad7.biz cannot and will not be liable for any loss or damage arising from your failure to comply with this Section 4. You understand that all information, data, text, software, music, sound, photographs, graphics, video, messages or other materials ("Content"), whether publicly posted or privately transmitted, are the sole responsibility of the person from which such Content originated. This means that you, and not Ad7.biz, are entirely responsible for all Content that you upload, post, email, transmit or otherwise make available via the Service. Ad7.biz does not control the Content posted via the Service and, as such, does not guarantee the accuracy, integrity or quality of such Content. You understand that by using the Service, you may be exposed to Content that is offensive, indecent or objectionable. Under no circumstances will Ad7.biz be liable in any way for any Content, including, but not limited to, for any errors or omissions in any Content, or for any loss or damage of any kind incurred as a result of the use of any Content posted, emailed, transmitted or otherwise made available via the Service. (p) offer any form of incentive to users who click on an Ad7.biz link, not limited to points/bonus/money/gifts/traffic or link exchange. You acknowledge that Ad7.biz may OR MAY NOT pre-screen Content, but that Ad7.biz and its designees shall have the right (but not the obligation) in their sole discretion to PRE-SCREEN, refuse, or move any Content (or Account) that is available via the Service. Without limiting the foregoing, Ad7.biz and its designees shall have the right to remove any Content or Accounts that violates the TOS or is otherwise objectionable. You agree that you must evaluate, and bear all risks associated with, the use of any Content or Accounts, including any reliance on the accuracy, completeness, or usefulness of such Content. In this regard, you acknowledge that you may not rely on any Content or Accounts created by Ad7.biz or submitted to Ad7.biz, including without limitation information in Ad7.biz message boards, and in all other parts of the Service. You acknowledge, consent and agree that Ad7.biz may access, preserve, and disclose your account information and Content if required to do so by law or in a good faith belief that such access preservation or disclosure is reasonably necessary to: (a) comply with legal process; (b) enforce the TOS; (c) respond to claims that any Content violates the rights of third-parties; (d) respond to your requests for customer service; or (e) protect the rights, property, or personal safety of Ad7.biz, its users and the public. You understand that the Service and software embodied within the Service may include security components that permit digital materials to be protected, and use of these materials is subject to usage rules set by Ad7.biz and/or content providers who provide content to the Service. You may not attempt to override or circumvent any of the usage rules embedded into the Service. Any unauthorized reproduction, publication, further distribution or public exhibition of the materials provided on the Service, in whole or in part, is strictly prohibited. - With respect to Content you submit or make available for inclusion on publicly accessible areas of Ad7.biz, the license to use, distribute, reproduce, modify, adapt, publicly perform and publicly display such Content on the Service solely for the purposes of providing and promoting the specific Service which such Content was submitted or made available. This license exists only for as long as you elect to continue to include such Content on the Service and will terminate at the time you remove or Ad7.biz removes such Content from the Service. - With respect to photos, graphics, audio or video you submit or make available for inclusion on publicly accessible area of the Service, the license to use, distribute, reproduce, modify, adapt, publicly perform and publicly display such Content on the Service solely for the purpose for which such Content was submitted or made available. This license exists only for as long as you elect to continue to include such Content on the Service and will terminate at the time you remove or Ad7.biz removes such Content from the Service. "Publicly accessible" areas of the Service are those areas of Ad7.biz that are intended by Ad7.biz to be available to the general public. By way of example, publicly accessible areas of the Service would include Ad7.biz news and resources that are open to both members and visitors. However, publicly accessible areas of the Service would not include portions of Ad7.biz that are limited to members, Ad7.biz services intended for private communication such as private messages, or areas off of Ad7.biz such as portions of World Wide Web sites that are accessible through via hypertext or other links but are not hosted or served by Ad7.biz. Payments from Ad7.biz are made through PayPal (http://www.paypal.com) on first Monday of every Month. The minimum amount available for a withdrawal is USD$1.00 if the registration of the account was after 1st July 2009 or a previous withdrawal has already been processed. Otherwise the minimum withdrawal is USD$5.00. Ad7.biz will pay you, the Publisher, 50% of the revenue generated through advertisments displayed on the Service associated with your Account. If there are no advertisers on the Service for your traffic demographics then a 'default' advertisement will be shown. You may change the 'default' advertisement under the Account section of the website. Default advertisements are not paid for by Ad7.biz. Ad7.biz reserve the right to remove any 'URLs' associated with your account if they do not receive at least 3 unique visitors in a 3 month period. You agree to indemnify and hold Ad7.biz, and its subsidiaries, affiliates, officers, agents, co-branders or other partners, and employees, harmless from any claim or demand, including reasonable attorneys' fees, made by any third party due to or arising out of Content you submit, post, transmit or make available through the Service, your use of the Service, your connection to the Service, your violation of the TOS, or your violation of any rights of another. You agree not to reproduce, duplicate, copy, sell, trade, resell or exploit for any commercial purposes, any portion of the Service (including your Ad7.biz I.D. ), use of the Service, or access to the Service. Ad7.biz reserves the right at any time and from time to time to modify or discontinue, temporarily or permanently, the Service (or any part thereof) with or without notice. You agree that Ad7.biz shall not be liable to you or to any third party for any modification, suspension or discontinuance of the Service. You agree that Ad7.biz may, under certain circumstances and without prior notice, immediately terminate your Ad7.biz account and access to the Service. Cause for such termination shall include, but not be limited to, (a) breaches or violations of the TOS or other incorporated agreements or guidelines, (b) requests by law enforcement or other government agencies, (c) a request by you (self-initiated account deletions), (d) discontinuance or material modification to the Service (or any part thereof), (e) unexpected technical or security issues or problems, and (f) extended periods of inactivity. Termination of your Ad7.biz account includes (a) removal of access to all offerings within the Service, including but not limited to Ad7.biz message boards, (b) deletion of your password and all related information, files and content associated with or inside your account (or any part thereof), and (c) barring further use of the Service. Further, you agree that all terminations for cause shall be made in Ad7.biz' sole discretion and that Ad7.biz shall not be liable to you or any third-party for any termination of your account, any associated email address, or access to the Service. 1. YOUR USE OF THE SERVICE IS AT YOUR SOLE RISK. THE SERVICE IS PROVIDED ON AN "AS IS" AND "AS AVAILABLE" BASIS. Ad7.biz EXPRESSLY DISCLAIMS ALL WARRANTIES OF ANY KIND, WHETHER EXPRESS OR IMPLIED, INCLUDING, BUT NOT LIMITED TO THE IMPLIED WARRANTIES OF MERCHANTABILITY, FITNESS FOR A PARTICULAR PURPOSE AND NON-INFRINGEMENT. 2. Ad7.biz MAKES NO WARRANTY THAT (i) THE SERVICE WILL MEET YOUR REQUIREMENTS, (ii) THE SERVICE WILL BE UNINTERRUPTED, TIMELY, SECURE, OR ERROR-FREE, (iii) THE RESULTS THAT MAY BE OBTAINED FROM THE USE OF THE SERVICE WILL BE ACCURATE OR RELIABLE, (iv) THE QUALITY OF ANY PRODUCTS, SERVICES, INFORMATION, OR OTHER MATERIAL PURCHASED OR OBTAINED BY YOU THROUGH THE SERVICE WILL MEET YOUR EXPECTATIONS, AND (V) ANY ERRORS IN THE SOFTWARE WILL BE CORRECTED. 4. NO ADVICE OR INFORMATION, WHETHER ORAL OR WRITTEN, OBTAINED BY YOU FROM Ad7.biz OR THROUGH OR FROM THE SERVICE SHALL CREATE ANY WARRANTY NOT EXPRESSLY STATED IN THE TOS. YOU EXPRESSLY UNDERSTAND AND AGREE THAT Ad7.biz SHALL NOT BE LIABLE TO YOU FOR ANY DIRECT, INDIRECT, INCIDENTAL, SPECIAL, CONSEQUENTIAL OR EXEMPLARY DAMAGES, INCLUDING BUT NOT LIMITED TO, DAMAGES FOR LOSS OF PROFITS, GOODWILL, USE, DATA OR OTHER INTANGIBLE LOSSES (EVEN IF Ad7.biz HAS BEEN ADVISED OF THE POSSIBILITY OF SUCH DAMAGES), RESULTING FROM: (i) THE USE OR THE INABILITY TO USE THE SERVICE; (ii) THE COST OF PROCUREMENT OF SUBSTITUTE GOODS AND SERVICES RESULTING FROM ANY GOODS, DATA, INFORMATION OR SERVICES PURCHASED OR OBTAINED OR MESSAGES RECEIVED OR TRANSACTIONS ENTERED INTO THROUGH OR FROM THE SERVICE; (iii) UNAUTHORIZED ACCESS TO OR ALTERATION OF YOUR TRANSMISSIONS OR DATA; (iv) STATEMENTS OR CONDUCT OF ANY THIRD PARTY ON THE SERVICE; OR (v) ANY OTHER MATTER RELATING TO THE SERVICE.